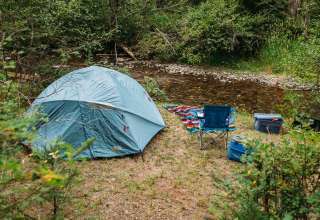 The best camping in Montana. Camp under the stars of Montana's Big Sky Country, home to the "Crown of the Continent," and a tapestry of Native American heritage. 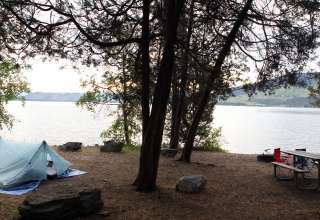 With 54 state parks to explore, camping in Montana can mean anything from the stony, lakeside beaches of Les Mason State Park to a brush with the friendly critters that inhabit Greycliff Prairie Dog Town State Park. Get in touch with your inner archaeologist at Makoshika State Park, where dinosaur fossils can be found tucked beneath the pine and juniper trees. 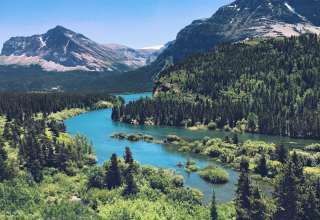 Glacier National Park is referred to as the "Crown of the Continent," and one trek along the Highline Trail, a walk to the base of Grinnell Glacier, or a trip along any other patch of the 700 miles of trails offered here will remind you why. In this iconic park, vast green valleys cut through some of the most awe-inspiring peaks around, including Montana's share of the Rocky Mountains. While visiting, make room in your itinerary for a trip to one of the state's seven tribal reservations that remain a rich and vital part of Montana's cultural tapestry. If skiing the slopes all day leaves you a little chilly, check out one of Montana's 13 hot springs! Teddy Roosevelt once called Montana's Medicine Rocks, found in the eastern part of the state, "fantastically beautiful." Going-to-the-Sun Road is a favorite of visitors to the state. 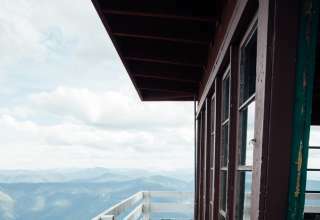 It reaches its highest point, Logan Pass, at 6,646 feet. Iceberg Lake isn't just a pretty name. Breathtaking 2,000-foot cliffs surround this pristine lake, that is sprinkled with real ice chunks. The First Peoples Buffalo Jump might be the largest bison cliff jump in North America. Take a look and judge for yourself!